Due to a breakage in the Reading Room sprinkler system, after hours key-card access will be disabled as of 5pm today until repairs can be completed. The work is being done as quickly as possible, but may take up to a couple of weeks. During this time, please visit the library during normal operating summer hours to retrieve Reading Room materials or to check out any items at the Circulation Desk. The rest of the library is unaffected and may be accessed as usual. Just in time for some serious studying, the Law Library is pleased to offer seat cushions. 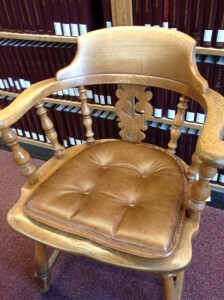 Approximately 50 cushions were distributed throughout the Reading Room today. All are available to use as needed, but please do not remove them from the Reading Room. We look forward to hearing your feedback. If they work well, we’ll purchase enough for all of the chairs. As classes end and we begin the exam period, access to the Law Library is restricted from Saturday, April 26, through Tuesday, May 13. During restricted access periods the law library is open to law school affiliates, university faculty, and non-law students conducting legal research. The law library continues to be sensitive to the needs of the university community during exams, and non-law students who need to retrieve books or obtain research assistance are welcome to visit the library for those purposes. Please see here for a list of alternative places to study on campus. Therapy Pets Return April 28!!! Please join the Law Library for pet therapy in the student lounge on Monday, April 28. 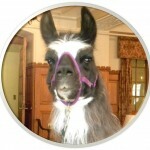 Stop by at your leisure and visit with the animals from Noon-1pm for relaxing companionship! The event is made possible by Cornell Companions, a pet visitation program sponsored by the Cornell University veterinary community, and the Student Animal Legal Defense Fund Club, who will provide refreshments. As classes end and we begin the exam period, access to the Law Library is restricted from Saturday, December 7, through Friday, December 20. During restricted access periods the law library is open to law school affiliates, university faculty, and non-law students conducting legal research. The law library continues to be sensitive to the needs of the university community during exams, and non-law students who need to retrieve books or obtain research assistance are welcome to visit the library for those purposes. Therapy pets return December 10! 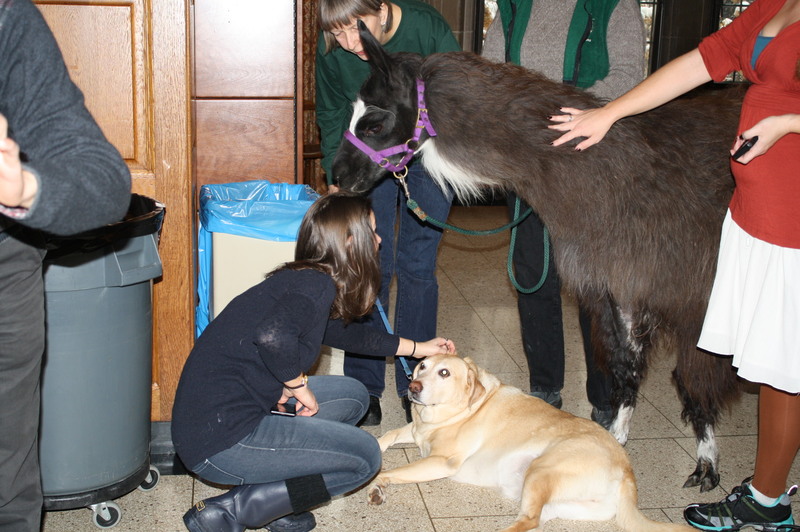 Join the Law Library for pet therapy in the student lounge on Tuesday, December 10. Four dogs and a llama (that’s right, a llama) will be available to all for relaxing companionship from 11am to 1pm – drop in any time! This program is co-sponsored by the Cornell Law Library, Cornell Companions, a pet visitation program sponsored by the Cornell University veterinary community, and the Student Animal Legal Defense Fund Club, who will provide refreshments. All law students are invited to an Open House at the Law Library on Tuesday, August 27, Noon-2pm.